Crops sprayed with chemicals meant to destroy cocaine are disrupting coffee farmers. Many WSU students start out their day with a visit to the coffee stand before class. However, these students may not be thinking about where the coffee they enjoy as a morning wake up comes from. 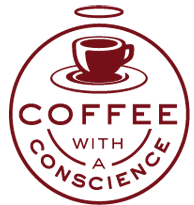 “We want to focus our presentation in the Northwest, because coffee is such a huge part of the culture,” said Beth Poteet, Northwest regional organizer for Witness for Peace. The group hosted a presentation made through a translator by Freddy Urbano, a Colombian campesino, or farm, leader and coffee grower. On Thursday evening, a roomful of WSU students in CUE Room 419 listened to Urbano share his own story about the difficulties of growing coffee in Colombia because of crop fumigation by the U.S. government. Fumigation is meant to destroy coca plants – the raw material used in cocaine. However, the U.S.-funded Plan Colombia program is targeting the smaller scale farms rather than the large areas of coca plants grown by Colombian drug traffickers, Urbano said. Plan Colombia has provided more than $4.2 million in aid to fight the “War on Drugs,” Urbano said. The fumigations were damaging to 57 families in the area of Cauca, Colombia, in 2005. These families’ coca growing operations are minuscule in comparison to the drug traffickers’. 18 percent of the U.S. aid goes to displaced families or to alternative development programs like Cosurca, a small-scale coffee farmer’s organization. Fumigation is a process of spraying crops with powerful poisonous substance similar to weed killer, Urbano said. Not only does the aerial fumigation kill illegal coca plants, it kills other vegetation such as family crops that are often the only source of food. Often, the major coca plant growers do not receive fumigation, Urbano said. He said 90 percent of the farms fumigated were not even growing coca plants. These farmers are part of Urbano’s organization, Cosurca. The average campesino does not produce large amounts of coca plants, unlike illegal drug traffickers, Urbano said. The average harvest for a farming family in Colombia occurs every three months. Usually, about 30 bags of coca weighing 25 pounds each will bring in less than $20 per bag. This comes to around $2,300 a year, which is just enough to sustain a family. Even though the U.S. has provided money to Colombia to help eradicate the growing of coca plants, there still is no solution to the problem, Urbano said. Poverty and crime continue to increase. The families growing small amounts of coca are aware they contribute to illegal drug use and trafficking, but often lack an alternative, he said. Corsuca is a cooperative organization of peasant, indigenous and Afro-Colombian groups in Cauca, Urbano said. The group’s main goal is to continue eradicating coca plants many farmers depend on for a small source of income. In doing this, the group helps farmers come up with positive alternatives, such as the growing of fair-trade coffee. Urbano said coffee crops provide a stabler economy. In the seven years leading up to June 2006, about 520,000 coca plants were eradicated and replaced by coffee, he said. Urbano made the presentation with the help of translator Kath Nygard, who works with Witness for Peace in Bogota, Colombia. This organization supports peace, justice and sustainable economies by promoting change in governmental policies in Latin America. Corsuca supports a change in the system that makes farmers not just producers of raw materials, but gets them involved in the agricultural-industrial process that includes processing, sales and exporting. So far, Corsuca has increased farmers’ profits by about 45 percent, Urbano said. This money is equally distributed among the Corsuca farmers. Corsuca also supports fair trade, and all of its members’ coffee production is sold as fair-trade coffee. Urbano said he hopes to convince as many people as possible to learn about the situation so they can fight policy that has been destructive in Colombia and Latin America. People can support Corsuca by voting to end U.S. involvement through military aid and to stop fumigation in Latin America, Urbano said.